Usman Danfodio University, Sokoto (UDUSOK) Freshers/Newly Admitted Acceptance Fee Payment and Returning Students Course Registration Guidelines for 2018/2019 Academic Session. 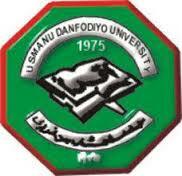 This is to inform all the newly admitted students of the Usman Danfodio University, Sokoto (UDUSOK) that the management of the institution has released the acceptance fee and registration procedure for the 2018/2019 academic session. All new students are required to observe the following activities in order to successfully complete their registration in the University. You are required to pay the sum of N5,000.00 as Acceptance Fee (N3,000) and Screening Fee (N2.000). Once the account is created successfully, a green message will be displayed at the top of the screen informing you about successful creation of the record. Your username and password will be displayed on the screen. Carefully record these details. Pay attention to case sensitivity. You need the username and password to log back into the Portal. Some details and additional instructions are sent to the email address you provided. IT IS VERY IMPORTANT TO RECORD YOUR USERNAME AND PASSWORD AND HAVE A VALID EMAIL ADDRESS. YOU ARE STRONGLY ADVISED TO PRINT THIS PAGE. All students are required to pay their fees before they can continue with courses registration. If you are a new student, use the username and password you created during creation of account. Returning students should use their existing login details. All students require UDUS and Remita invoices in order to complete their payment. Once your payment has been successfully verified, you can proceed with registration of courses. Click on Submit at the bottom of the page to complete your registration.Note: 1. If you have not paid your fees or your payment was not successfully verified, you will not be able to register. The following message “you must pay your fees before course registration!” will be displayed. In case of any difficulty, contact your Faculty IT Support Staff or your Department.